India, a rapidly growing hub of data and analytics is seeing an increased adoption of analytics and holds promise for the 600+ companies operating domestically to crank out $16 billion in market opportunities by 2025. “There are close to 600 analytics firms and more than 50% of them are now shifting their focus on Indian businesses. Of late, there has been tremendous growth funding, almost quarter of a billion dollars has now been invested in analytics deals or startups and more importantly there are hundreds and thousands of us in this ecosystem,” Deep Thomas, CEO – Tata Insights and Quants cited in a talk in Cypher 2016. According to a Wikibon research, the total spending on big data software, and services is expected to grow by 12 percent compound annual growth rate through 2027 to $9.2 billion, largely driven by software. 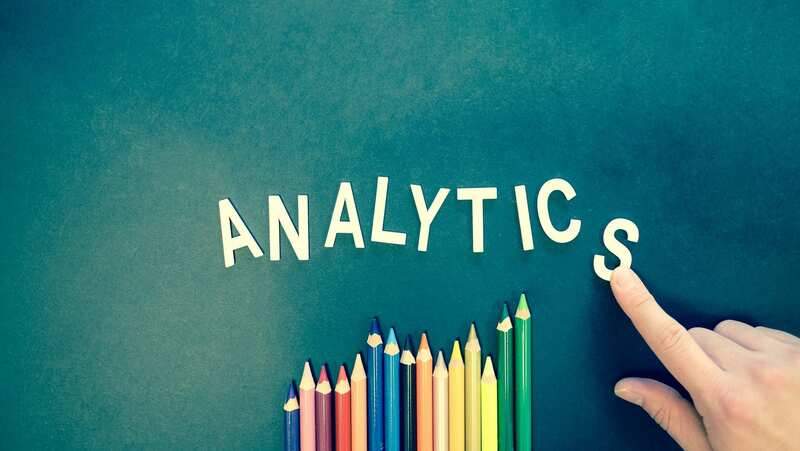 While analytics has become a mandate for enterprises to establish strategic business capabilities necessary to achieve data-driven outcomes, Indian economy is providing a lot of positives, spurring analytics providers to train their eyes on the domestic market. According to Thomas, a large increase in internet penetration, a healthy sustainable GDP growth; best customer profile; close to 60% of the population are digital natives; increase in amount of disposable income amongst Indian households and Indian Government’s startup push is helping the cause. “Everything together makes us believe that it is time to look at India as a strategic market where analytics adoption will rise, there are a few challenges,” he said. However, the journey is marked by challenges that have to be addressed in order to realize the vision. However, the “$20-30 billion business opportunity” is also fraught with other operational challenges such as “thin margins, long credit cycles and sales cycles”. Sandeep Mittal, Managing Director at Cartesian Consulting shared in his talk the highs and lows of breaking into the Indian and though he confirmed every stereotype associated with the Indian market, he also found a silver lining in the dark cloud. From a lack of cohesion to operational challenges such as multiple offices, lengthy sales cycle (6 months – 18 months) and low gross margins, these are just a few stumbling blocks Indian companies have to overcome. “What is fairly typical of the India market, tough market to break so people will also where the good is? Indian clients want you to be near them, so you are going to have multiple offices. We have three offices in India – Bombay, Delhi and Bangalore. Why do we have a Delhi office, because Delhi clients want us to be there right down the street,” he said during the talk. Thin Gross Margins: When you talk about running your own business, gross margins play a huge role in profitability? What’s the gross margin an analytics firms should have? “Normally people would say 50-60%, that’s the kind of range people talk about but at least 50%. In the Indian market you can have 50%, but your company may not be as profitable and this is a fact of life if you are operating in this market,” he said. Proximity with clients means multiple offices: Close proximity to clients require companies to set up multiple offices. Case in point — Cartesian Consulting has three offices, Mumbai, Bangalore and New Delhi. A lack of single cohesive unit means more investment in training and striking cultural balance. 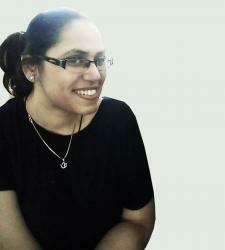 “The culture is different – Delhi and Bangalore are such different markets to operate in. You need to speak a different language and operate differently. If you have a single delivery unit, maintaining culture, training, cohesiveness is a lot easier but three units for the same market makes it harder,” he said. Long Sales Cycles: Let’s face it, the average sales cycle in Indian market is six months and 18 months is not unheard of, Mittal revealed. “Here’s the funny thing, you will spend 18 months signing on a client and out of those 18 months, last 6 months will be spent waiting for them clients to just sign the contract,” he shared to a roomful of audience. Once the client is onboard, deliverable cycle is extremely short — 3 months’ worth work has to be packed in say 2 weeks. So, what’s the upside of focusing in Indian market – proximity to clients (senior industry leaders); an abundance of analytics talent and a close impact of your work you do are just some of the factors that make it rewarding exercise. In analytics, talent abounds: Contrary to the tired rhetoric of a skill gap, Mittal and Thomas repeatedly pointed out an abundance of Indian talent that is “more than willing to work for the domestic market and are not fussed about gross margins, all they really want is good quality work”. Citing a day at his work, Mittal recalled that Cartesian Consulting received 1000 applicants on a single day. Diversity in workplace: One of the thrills of working in Indian domestic market is the sheer work diversity. “The beauty of a new market you don’t get pigeon holed, you will work on predictive models, data visualization, machine learning and there is a lot of flexibility you can use any of the tools you want to use. In fact, we have the same team that works for an e-commerce company, mutual funds, multiplex chain and even educational university. The kind of cross-pollination of ideas you have is just incredible, take learning from technical analysis of stock market and apply it to a pizza company,” he shared. When clients become cheerleaders: a lasting relationship with clients who are industry veterans is one of the highlights of working in domestic market. Your clients will come to love you and they will become your well-wisher as well. He played out a common scenario – dealing with top brass leaders, Chairman, CEO, MDs on a session on clustering analysis till they can quite literally visualize it. Usually, analysts who are only three years out of college are tasked with these sessions with senior most people who have never dealt with analytics in the past. Watching a close impact of work: Usually, analytics practitioners are far removed from the impact created. “For me impact is about is usually if it moved margins, did it impact topline? If you are working in domestic you will have examples of impact created literally every single week. The briefs are good or scary like how do I set my price points or we want to lower discounting or should we spend more on FB,” Mittal added. However, one major downside is you can’t beta test your products and use the domestic market as a launch pad. “If you think this a market where you can build out products, beta test out here and then take it to international market you are not going to make money because people will not pay for your test,” he pointed out. With enterprises gravitating towards a data driven culture, in 2017 and beyond, captives and domestic players are well placed to seize the opportunity to create and effectively deliver an integrated analytics system. The analytics adoption is significantly up, leadership is clamoring for data based decision making and everybody wants analytics on their side. It’s time captives and analytics solutions provider stake a claim in the domestic market that is theirs for taking. Changing attitudes, finding the right talent and enterprises expanding analytics capabilities are all encouraging signs of large market opportunity ready to be seized.